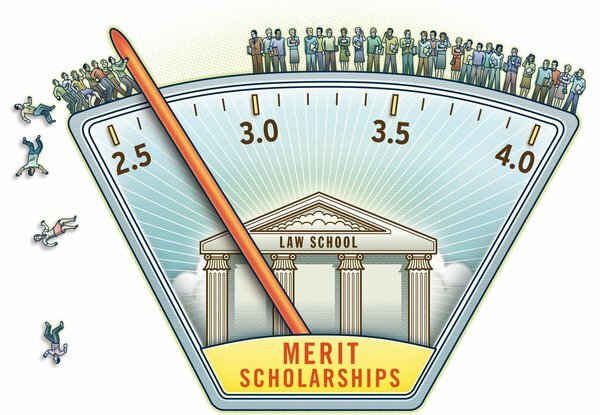 The algorithm used by U.S. News puts a heavy emphasis on college grade-point averages and Law School Admission Test scores. Together, those two numbers determine about 22 percent of a school’s ranking. The bar passage rate, which correlates strongly with undergraduate G.P.A.’s and LSAT scores, is worth an additional two points in the algorithm. In short, students' academic credentials determine close to a quarter of a school's rank — the largest factor that schools can directly control. Accept 'em and dump 'em. PS: This post owed to Tim O'Reilly.